People are always asking how to use webcam as security camera; just connect cam with PC, install and run iSpy software, set configuration and start recording. A freeware utility used to monitor everything happened in your office, factory, school, shop or home. Its able to detect and record each movements with motion alongwith sound detection. iSpy can be connected through USB webcam, IP Camera, ONVIF camera, microphone devices as well as other wireless cams. Capture whole videos with custom resolution or take snapshots and save them in destination local hard drive. Start surveillance of your own business, home or school without paying to 3rd party expensive tools. iSpy is surveillance security cam software that enables your personal webcam into security device. The easy and simple layout makes it perfect because it has grid view and all the inserted cameras will be shown immediately under the homepage. 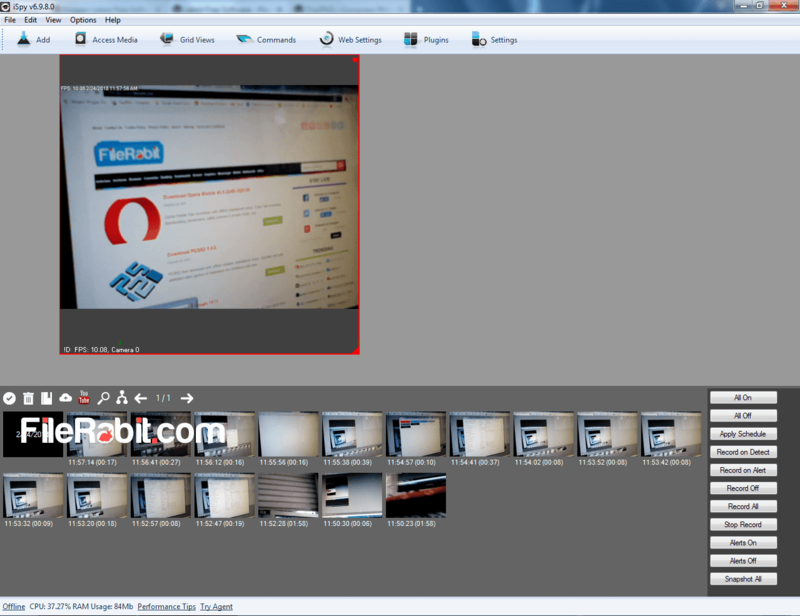 The captured media including images and videos will be shown in the footer of start page. However, advanced IP settings, port forwarding & configuration lets you start full coverage of your kids, animals and personal things from accessing unauthorized persons. It will record video files into H264 coded AVI and MP4 formats. Live streaming feature is just perfect that makes you enable to view cameras right from mobile device through IP or internet connection. Multi purpose use of iSpy software for example, it can be place at work to monitor working progress of workers, place in office for surveillance purposes, place in home for security of kids, pet animals as well as to monitor who is coming in and going out from your house. iSpyConnect let us to control everything through remote connection. 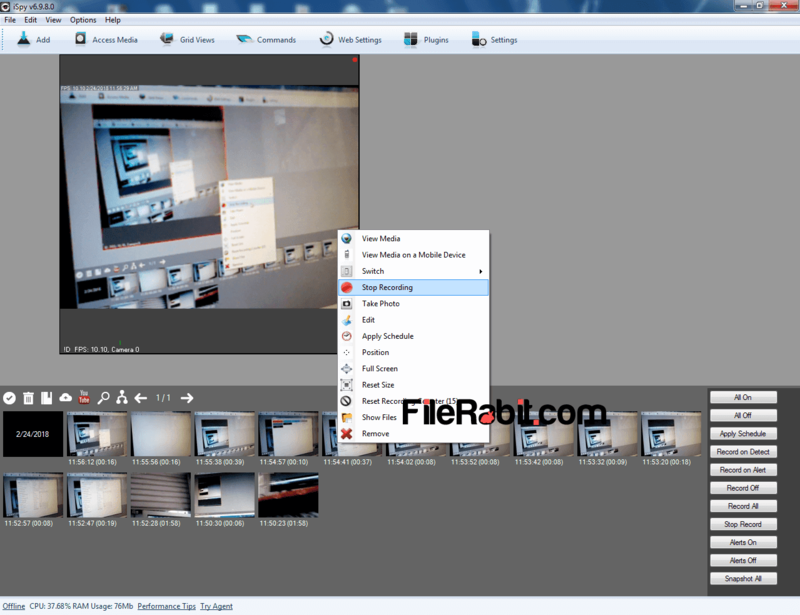 It will capture snapshots in HD (based on camera quality) and record ultimate videos in MP4 and AVI file extensions. Just start uploading videos or snaps on Google Drive, YouTube or Dropbox accounts. Get immediate access from mobile device via Yawcam IP connection after opening port from broadband router. 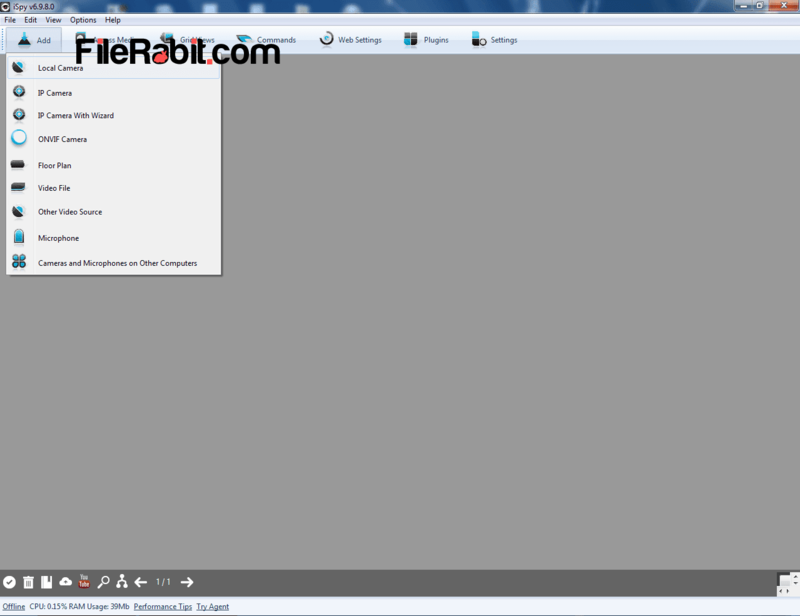 Capture desktop alongwith movement of mouse gestures, clicks, drag & drop as well as arrow position. One of favorite advantage of iSpy is clear sound or recording without having noisy or disruption. The main screen has capability to place unlimited camera screens. The camera monitoring screen resulotion can be switched at custom width and height. 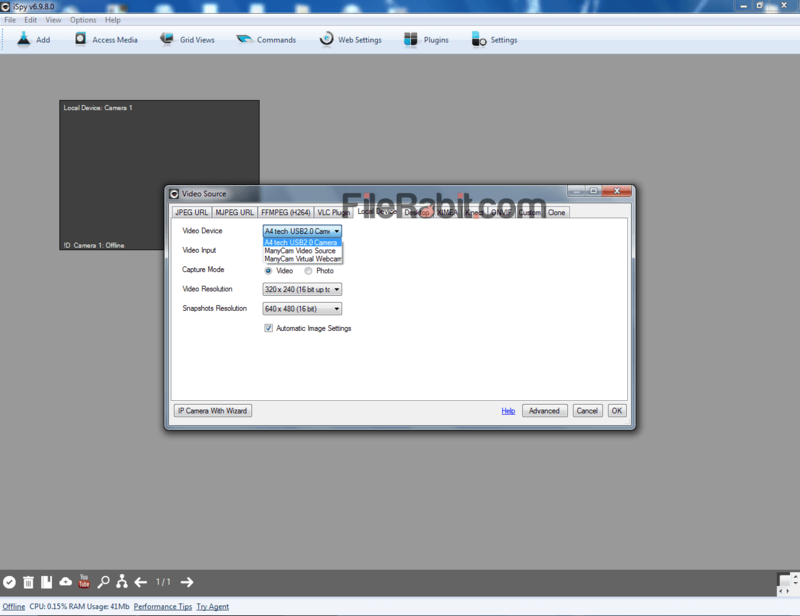 Furthermore, change destination folder of snapshots and recorded videos with local or external hard drive position.